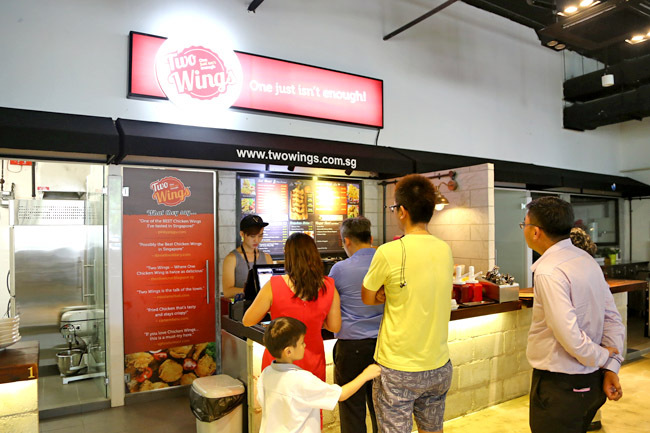 Two Wings has opened another branch, at Essen At The Pinnacle. Essen what? 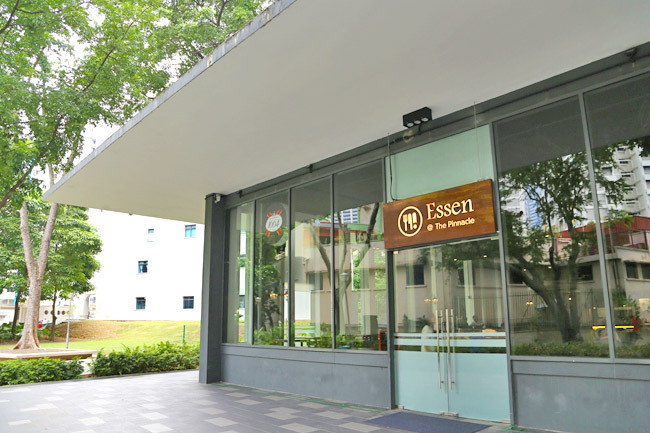 Essen, an ‘ang moh’ foodcourt at the base of Pinnacle at Duxton. 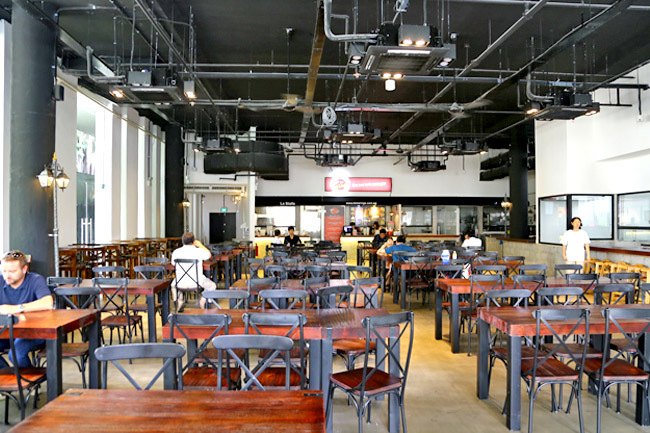 It has obviously taken a cue or two from Salut the ‘ang moh kopitiam’ with stalls such as Immanuel French Kitchen, Stew Kuche and Two Wings doing well enough. Owner Jeremy was once concerned that I said “Two Wings standard drop” – just wasn’t as moist, colour didn’t look ‘right’ and oil didn’t taste as well. 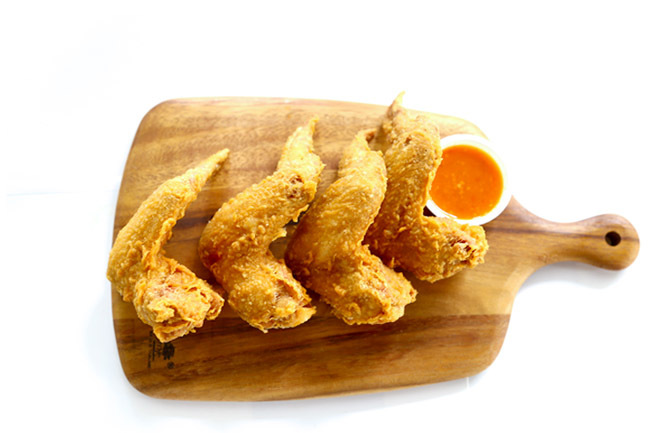 If you are wondering what the hype is, Two Wings is created from a well-kept secret recipe of 40 years, matched with bigger wings and a spicier homemade chicken rice type chilli sauce. The colour this time was yellow-golden, skin crunchy and meat succulent and juicy. As usual, I ordered 4 ($8.50), told myself to stick to 2 (diet) and went on to 3. * Daniel’s Food Diary pays for food reviewed unless otherwise stated. Two Wings gave us a 20% discount. the wings are really overrated, and overpriced too. 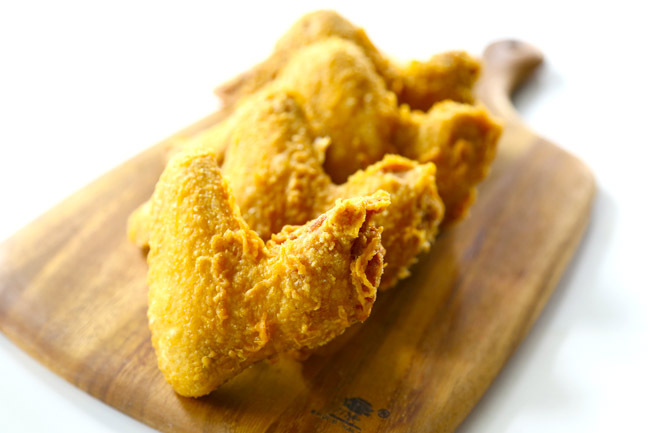 The batter is plain and the chicken is tasteless. Waiting time was long .. waited for 40 minutes or so when there were barely 3 people in the queue. 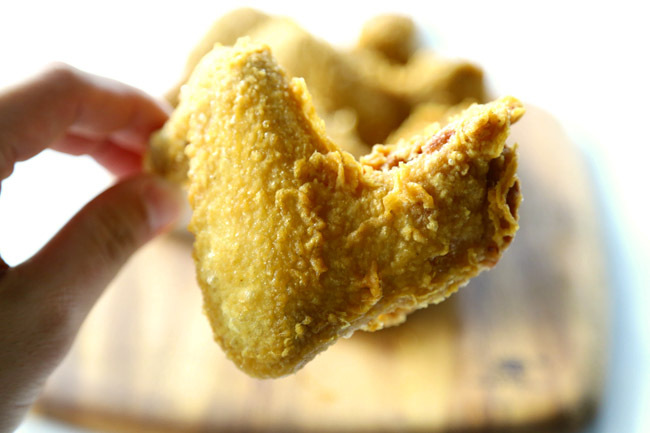 try only if you want to know how does bad fried chicken taste like. How much do you get paid to say overly exaggerated bs like this! Just because it has a faint har cheong kai (aka Prawn paste) flavour to it doesn’t mean it’s the best. Very very ordinary wings. Better luck with KFC. At least Two Wings is cheaper than ur another nonsense recommendation called Kanshoku Ramen that caused me to waste $20 on one of the most awful Ramen I have had next to Ajisen.